And that business forecast continues to prove on point with the blockbuster announcement that North America’s largest wine and spirits distribution company signed an agreement to become the exclusive product distributor for one of Canada’s largest licensed cannabis producers. Under the agreement, Great North Distributors, a wholly owned Canadian subsidiary of U.S.-based Southern Glazer’s, will serve as exclusive manufacturer’s representative for Aphria’s adult-use cannabis products in Canada. Aphria is based in Leamington, Ontario. 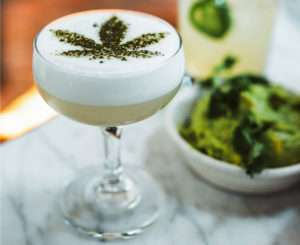 John Kadens, managing partner of Navy Capital, a New York firm investing in international cannabis companies, believes Southern Glazer’s may not be Aphria’s last alcohol partnership. The Southern Glazer’s deal follows Aphria’s recent hiring of Jakob Riphstein as chief commercial officer. He’s a 10-year executive veteran of Diageo North America, the subsidiary of London-based alcoholic beverages conglomerate, Diageo. Kadens cited the Ripshtein hire as evidence of the company’s ongoing courtship of Big Alcohol, and specifically Diageo. “The biggest thing the alcohol guys are concerned about is can they do the science? They need R&D,” Navy Capital’s Kadens said. “The sale and distribution of cannabis in the United States is currently prohibited by federal law,” Southern Glazer’s Cindy Haas said. “Therefore, we have no plans to distribute cannabis in the U.S. He expects a small number of licensed producers will work with a small number of big distributors. And that’s why Kadens sees Aphria’s partnership with Southern Glazer’s as wise. “They’re using one of the world’s largest alcohol distributors as an internal salesforce,” Kadens said. “That saves Aphria from putting together a full-fledged sales team because they have an experienced alcohol group that’s going to fight for shelf space.